So says Lee Lavi Ramirez Sensei, former Israeli judo champion and military officer turned aikido instructor and founder of North Valley Aikikai in Northridge, California. 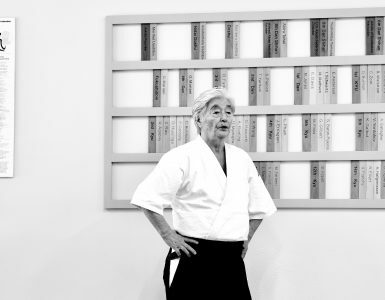 The pupil of Ichiro Shibata Shihan (8th dan) – who was himself a direct disciple of Kisshomaru Ueshiba – is now marshaling all of her training to face the greatest challenge of her life: her teenage daughter Aria’s bone cancer. 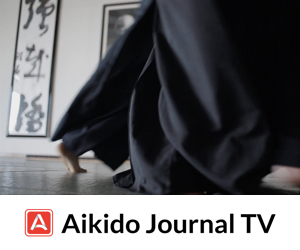 In this special Aikido Journal podcast, executive editor Josh Gold sat down with Lee Lavi Ramirez to talk about her background, the lessons she has learned in her extensive martial arts training, and how the art of aikido and the aikido community have created a groundswell of unexpected support in the battle for her daughter’s life. She describes Aria as a sixteen-year-old who was nearly born on the mat at North Valley Aikikai. Aria, who has trained in aikido on and off since she was very young, reported a pain in her thigh a few months ago that wouldn’t go away despite the usual care and physical therapy. She was diagnosed with Ewing’s Sarcoma, a rare bone and soft tissue disease, after a sports medicine doctor had her take an MRI. Aria, an exuberant animal lover who has trained to volunteer with a teen support hotline, is now undergoing chemotherapy and other treatment in the hopes of curing the disease and returning to normal life. When she received the fateful call from the doctor, “one reality snapped into a completely different reality,” Lee recalled. Despite the total upheaval in her and her family’s lives, doctors and nurses alike have noted that her steadfastness and ability to act under pressure without succumbing to shock and emotional paralysis are unusually good. 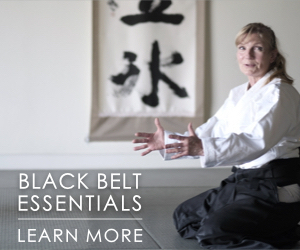 Lee in large part credits her ability to stay present and mentally disciplined to her aikido training. 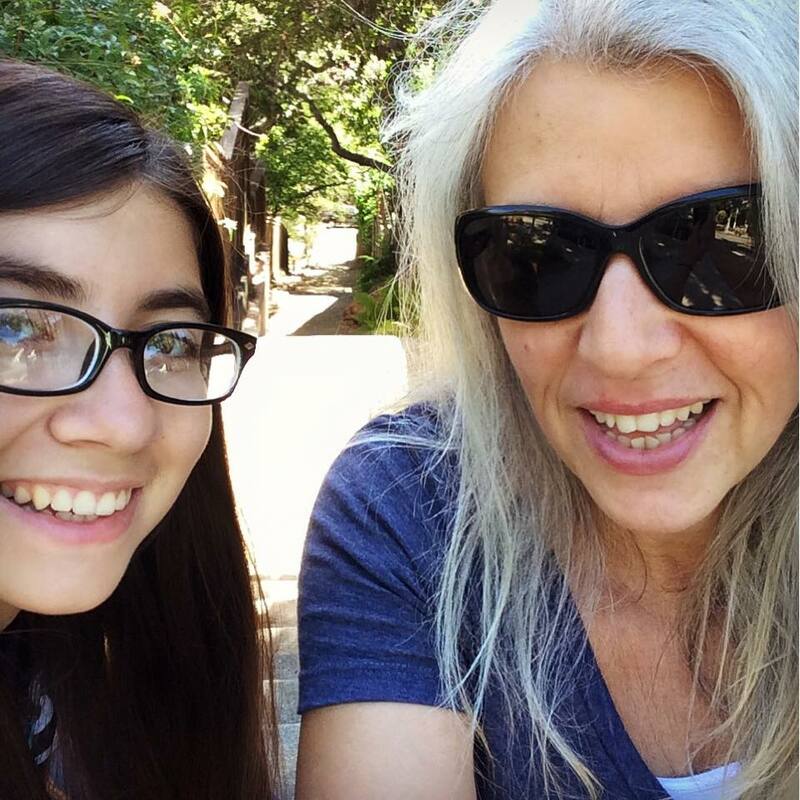 In the weeks since the diagnosis, many aikido instructors, practitioners, and dojos from Lee Lavi Ramirez’s circles and beyond have stepped up to help support the family and contribute to the GoFundMe campaign to finance Aria’s treatment. The proceeds from several recent seminars have been donated to the cause, led by the likes of Ray Feliciano of Maru Dojo and Josh Gold of Ikazuchi Dojo, Lia Suzuki of AKI USA, Chetan Prakash of Redlands Aikikai, and Chris Wong of Aikido of Santa Barbara who organized a seminar with 7th and 6th dan instructors from both the USAF and the Birankai organizations. John Brinsley of Aikido Daiwa has also organized a seminar with Roo Heins for the weekend of October 26-28 in support of Aria’s fund. Many others in the aikido community continue to organize events and donate proceeds from seminars around the world. If you are interested in organizing a fundraising event or donating proceeds from a seminar, please contact Lee Lavi Ramirez directly. 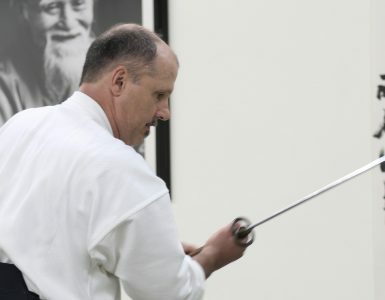 Lee’s dojo, North Valley Aikikai, is a non-profit organization which works with other nonprofits to offer financial and logistical support to the victims of local and international natural disasters, in addition to teaching classes in aikido, tai chi, and other disciplines. 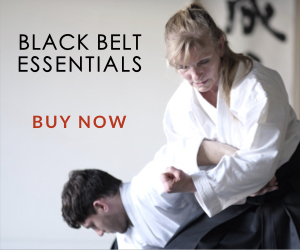 Lee reflected that, as aikido trains people to both give and receive during practice, she is now learning how to receive the help of others off the mat. 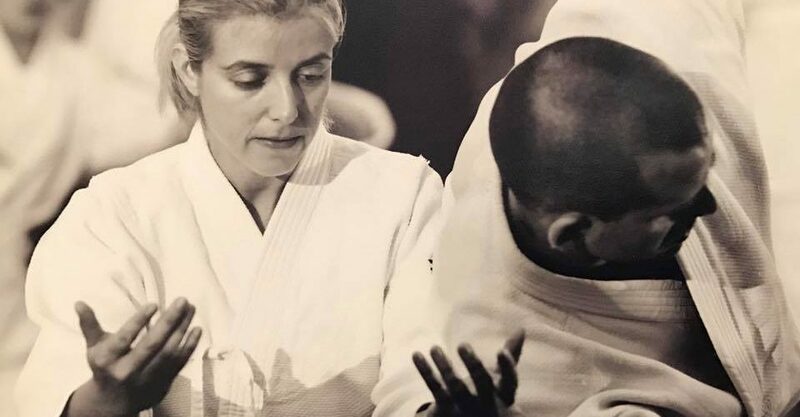 While she has felt humbled and overwhelmed by the outpouring of support from the aikido community, she is not entirely surprised that this is happening, as she has witnessed firsthand the compassion and tenacity nurtured in herself and fellow practitioners by the art of aikido. 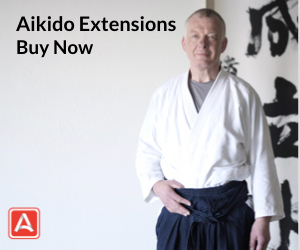 This is a great story of strength and unity within the aikido community. Thanks to Lee Lavi Ramirez Sensei for sharing her story, to Christina Kelly for authoring the article, to Gustavo Rearte and Gary Payne for support with the photos, and to Ray Feliciano Sensei for introducing me to Lee and inspiring me through his support for her daughter Aria. And a huge thanks to everyone within the aikido community who has taken action to support Lee and Aria through this critical time. This story is a sterling example of leadership within our community and something we can all be proud of. Hi, I wonder if you have taken a look at Ty & Charlene Bollinger’s new 9-part documentary series on cancer cures (They also have a book out: ‘The Truth About Cancer’)? It showcases the latest and cheapest cures from around the world, many of which are traditional, natural, and non-invasive that are backed up by new scientific evidence. The first video also goes into the story of cancer research and why the chemotherapy and radiation therapy options must now be considered obsolete and comparatively harmful. There is also a completely different video online about the latest cutting edge study which shows how cellphones cause new types of cancers which appear just under the surface of the skin, and appear near where the cellphones were actually worn on the body. Increasingly, women with breast cancer today are not getting them deep in the fatty tissue where traditional breast cancers are normally found. In men, mobile phone radiation has been found to destroy sperm cells and basically makes men infertile. Anyway, I am not sure what type of cancer Arial has or what specific treatments you have agreed with her about but please do take a look at the Bollinger videos before you go for radiation treatment or before you choose such methods as will increase pain and deplete the immune system. I agree that we can all learn a great deal from aikido about mental focus, being present, and learning to be open to the gifts of sharing, but, in my view, the most important tenet is love. And, we must surely all agree on this: love is rarely transmitted with pain. Most of love is painless. Indeed, it is most often filled with joy. We apply pain only in the most exceptional cases where nothing else works and / or if we need to punish someone who can learn through no other way. From all accounts though, chemo and radiation therapy can be very painful, even fatal. I think we can do a great service to the aikido community if we spread the good news about these natural methods and promote them whenever and wherever we can. These bio-medical methods are far cheaper, painless and safe, and if these natural methods, now well-regarded by mainstream medical s and scientists, were better known, why wouldn’t we choose them instead..? They all seem more aiki-like to me in that they do not punish the sufferer of cancer from without but work from within to strengthen the immune system. The aikido community rallying around to support Arial’s cause is, as this article shows, a wonderful testament to the spirit of harmony and mutual aid of aikido people who have awakened to love. Although, I can’t contribute anything financially, I hope this information will aid in her recovery too. And to Arial herself, to that girl I do not know, but who resembles students and family I have known, I hope you recover very soon and I hope to see you one day on the mat with your famous smile..!